Docker is an open platform that can be used to deploy applications in isolated, secure containers. Docker containers are lightweight, simple to configure and work consistently in diverse IT environments. Most Bitnami applications are available as Docker containers and offer all the usual Bitnami benefits: security, optimization, consistency and frequent updates. 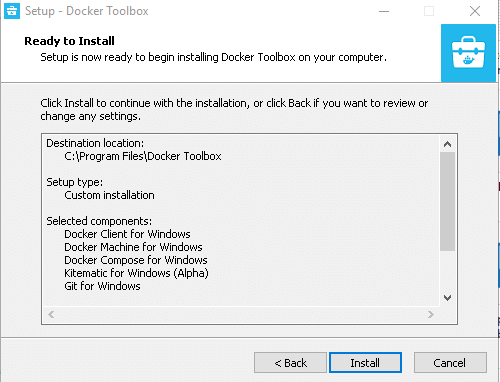 For Windows 7 (and higher) users, Docker provides Docker Toolbox, an installer that includes everything needed to configure and launch a Docker environment. Docker Toolbox allows you to deploy development containers in legacy Windows systems that do not meet the requirements of the new Docker for Windows application. The first step is to check if your system configuration meets the requirements needed for running the installer successfully. 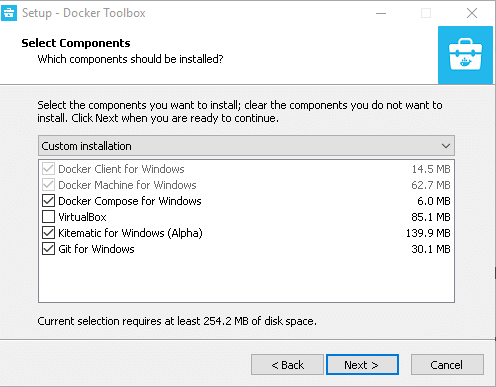 Docker Toolbox requires 64-bit Windows 7 (or higher). There are many ways to verify if your machine meets these requirements. Type “Settings” in the Windows Search Box and select “System -> About”. Find your Edition and Version under your PC name. 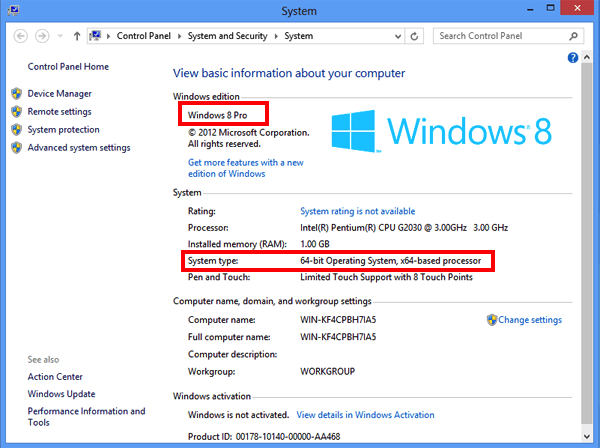 Look “System type” to check if you are running a 32-bit or 64-bit version of Windows. Go to “Control Panel -> System and Security -> System”. 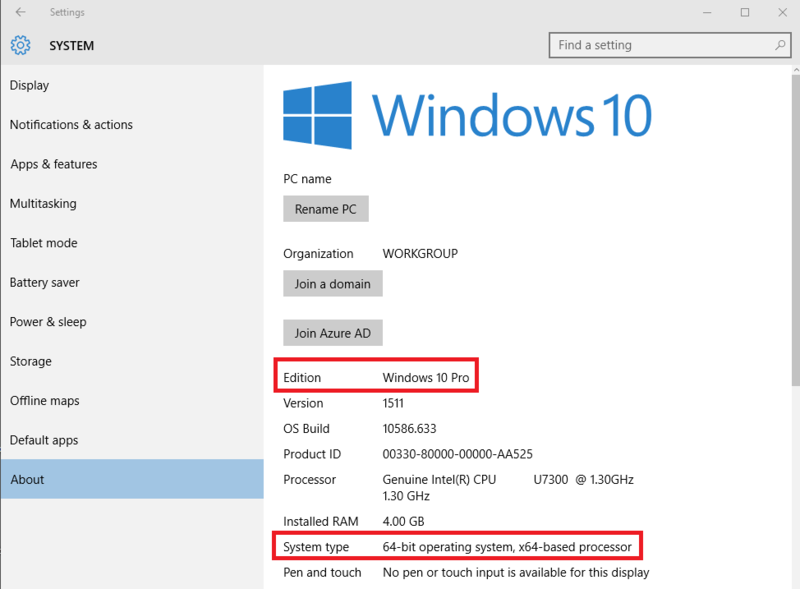 Check the Windows Edition and System Type. Find more information about how to check your Windows operating system. 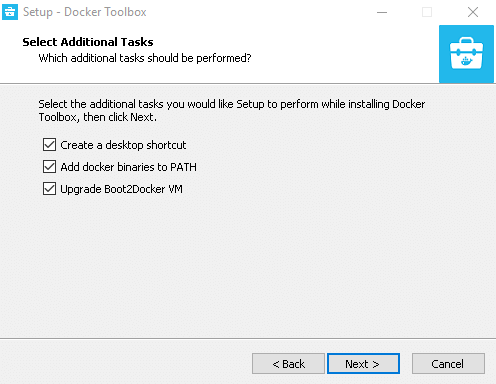 Enabling hardware-assisted virtualization is mandatory for installing Docker Toolbox. You can check if your system supports this technology in two different ways. Type “Task Manager” in the Windows Search Box. Click “Performance” tab. 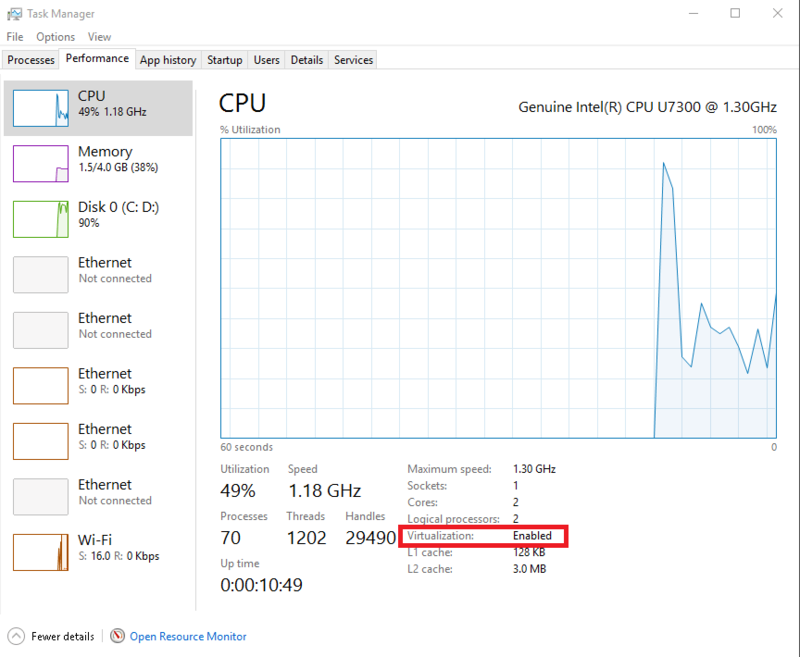 Look under “CPU” to find out if virtualization is enabled or not. Type “Command Prompt” in the Windows Search Box. Right-click to open the options menu. Select “Run as administrator”. NOTE: If virtualization is not enabled in your machine, please check how to enable it in your BIOS by following your manufacturer’s instructions. Download and run the Microsoft Hardware-Assisted Virtualization Detection Tool. Once the system requirements have been verified, download the installer from the Docker website. Click the download button with the Windows logo. 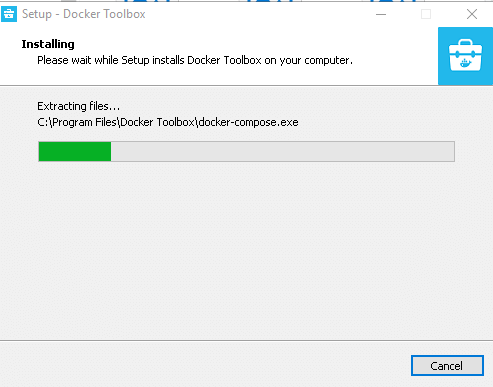 NOTE: Make sure that you are installing the latest release of Docker Toolbox. Find the list of releases in Docker’s GitHub repository. IMPORTANT: If you have VirtualBox installed and running, please shut down it before the installation begins. Open the installer by double-clicking the .exe file. Choose “Yes” in the Windows security dialog box to allow the program to make changes to your PC. 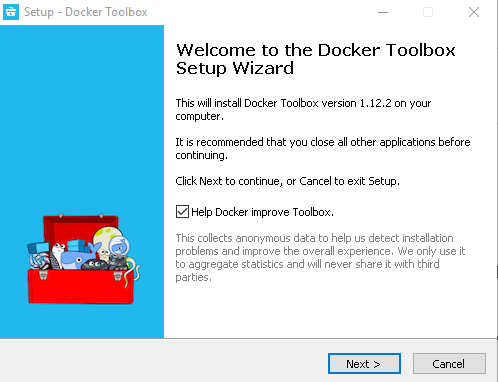 When the Docker Toolbox setup wizard starts, click the “Next” button. 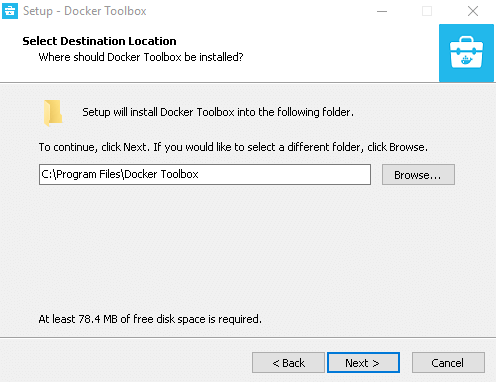 Choose the local folder for Docker Toolbox installation. Click the “Next” button. Check the components to be installed (“Git for Windows” is recommended; uncheck “VirtualBox” if already installed). Click “Next”. Accept all default options and click the “Next” button. Verify that all selected components will be installed. Click “Back” to change any settings. Click the “Install” button to finish the installation. If Windows should ask you about permitting changes to your PC, click “Yes” to allow it to make the necessary changes. After all the components are installed, the wizard will notify that installation was successful. Uncheck “View Shortcuts in File Explorer” and click “Finish”. Launch the Docker Quickstart Terminal by clicking the corresponding icon. This starts the creation of the Docker machine and all its components. Click near the $ symbol to activate the terminal. Docker will download and run the “Hello world” container. A confirmation message will be displayed in the terminal. This indicates that your Docker installation is successful. 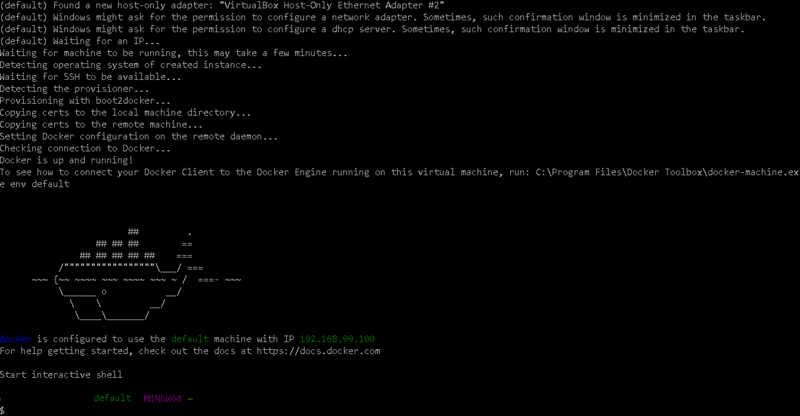 Now that Docker is running, the next step is to use it with a Bitnami application. This guide will use the Bitnami WordPress Docker image. 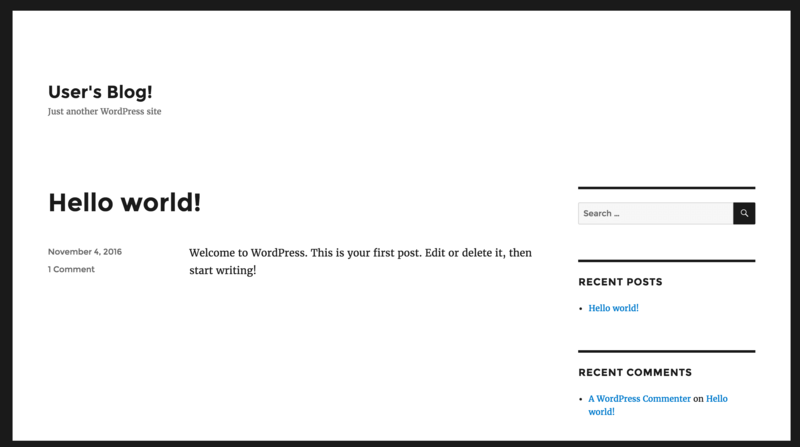 The Bitnami WordPress Docker image provides the latest version of WordPress, including recent updates. This image deploys two containers, one for the database and another for the application itself. Open the Docker Quickstart Terminal by double-clicking the icon. Browse to Bitnami’s Docker image for WordPress. Click the “Clone or download” button. Copy the URL to the clipboard.